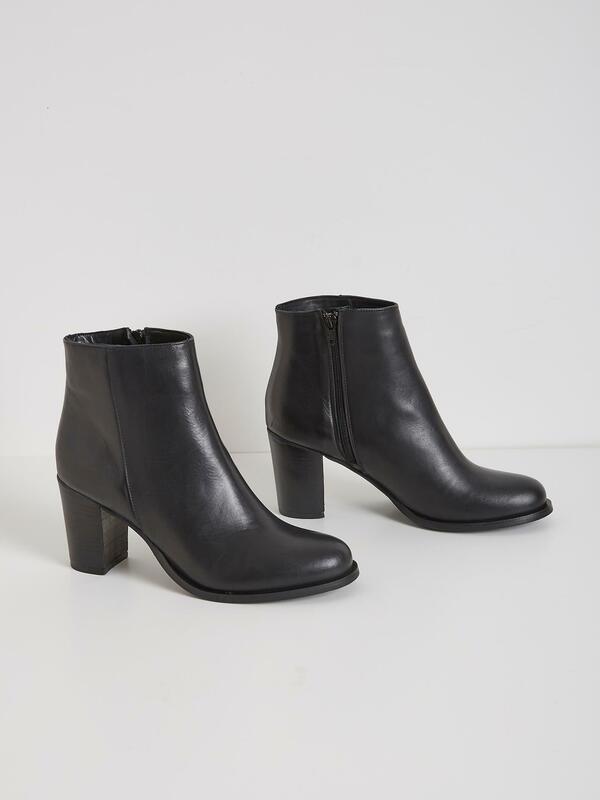 Perched on high square heels, these ankle boots sign off a beautiful city style. Focus on their fashion colours and refined lateral seam. Rounded hem. Outside decorative seam. Inside zip fastening. Shaft height, 11cm. Heel, 8cm approx. Leather uppers, lining, and sock. Elastomere sole.